Vast landscapes of north-light trusses shrouding sheds, offices and workshop spaces, part of the once fully functional textile mill lands in central Mumbai. Minarets of new, luxury housing, rise above these low-rise structures, some old housing, markets and industrial lands. 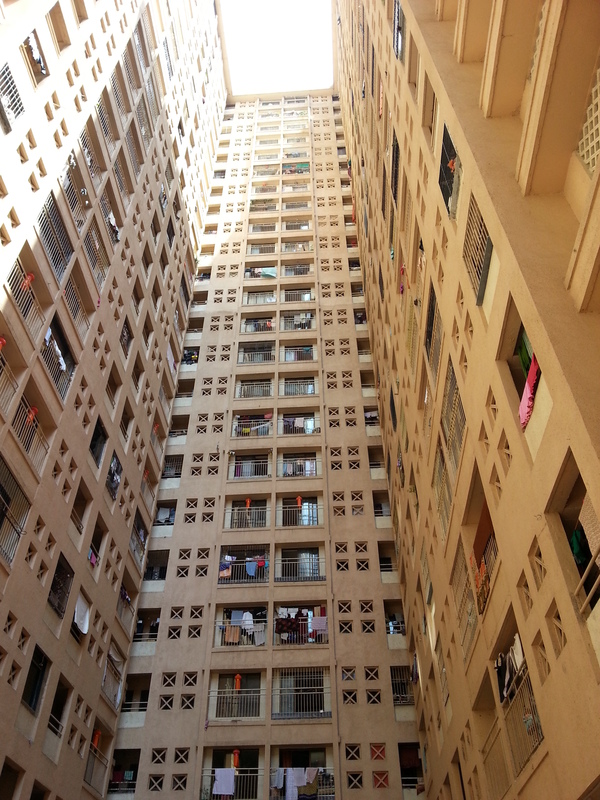 “It is a view to die for!”, said a friend, newly moved into one of the redeveloped chawls in the neighborhood. “I can just stand in my window and watch for hours, as the city goes by me; people walking to work in the few functional parts of some mills, constructions of newly redeveloped buildings slowly rising, young boys playing cricket once they return from school. Sometimes you even see some things you don’t want to, like small groups of young boys drinking, maybe even doing drugs?” I wonder as she speaks, maybe some one was even witness to the young girl who was dragged into one of these sheds, brutally raped and killed, a few months? Familiar parts of my city seemed draped with anger, fear, insecurity and questions… many questions! Maybe she was seen walk into this image, but was shrouded by its beauty of overgrown trees, stone walls and fragile trusses; a reality so brutal, so dangerous yet couched in nostalgia. The rhetoric of redevelopment of the mill lands, and maybe most other parts of the city, seems easier to reconcile with however sterile and unfriendly, when moments of brutal crime reveal themselves through these landscapes. Yet while walking along familiar roads to work and back, these old chawls present a haunting future. 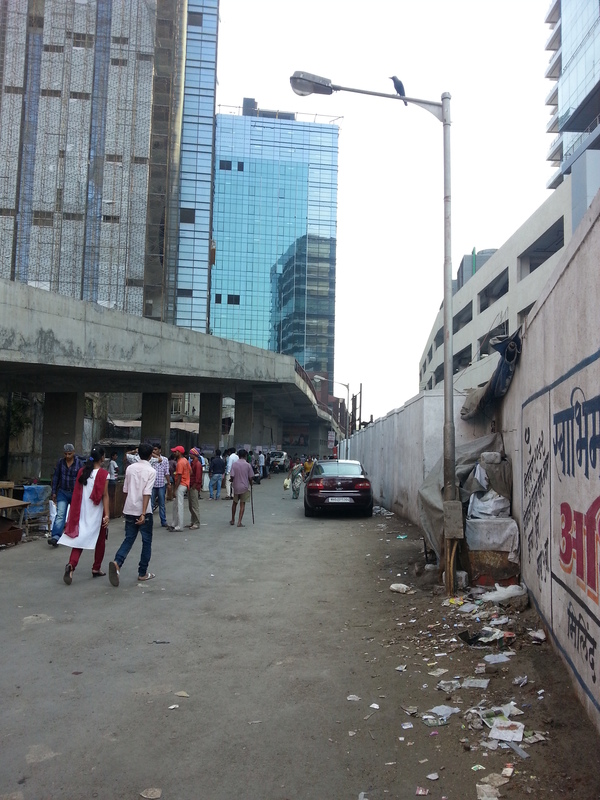 One Avighna Park (in the first image above) is the sale component of the redevelopment of a large cluster of chawls abutting a busy vehicular spine in Lalbaug, Central Mumbai. 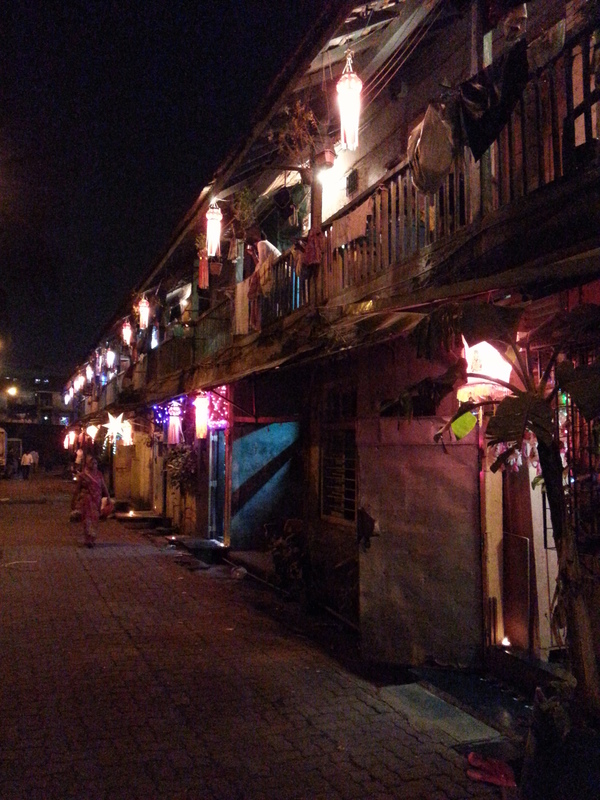 These chawls were historically housing for the textile mill workers and their families, built in the early 1900s. 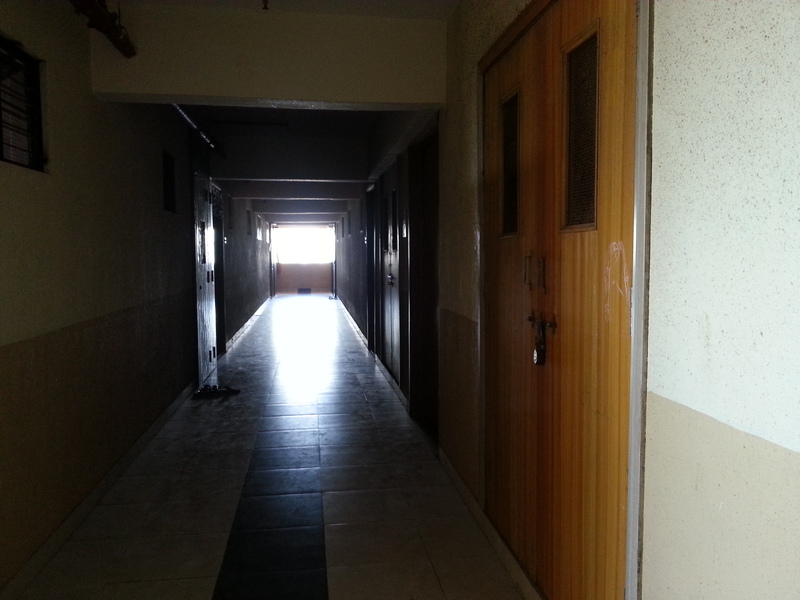 They were typically low-rise compact housing types, with a central courtyard, common toilets for each floor and common access corridors. 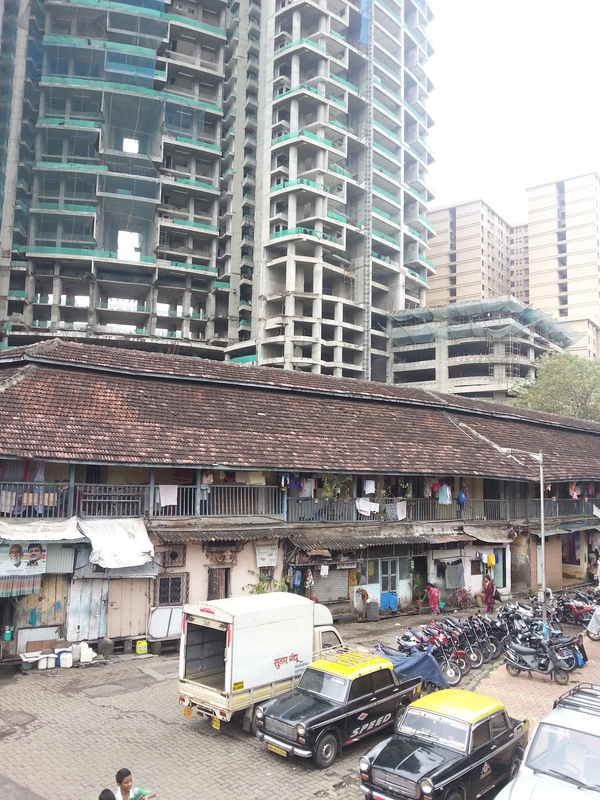 The building in the fore front of the image (above) is an old ground-chawl or baithi-chaal which will soon be demolished. The 3-dimensional conception (above) of One Avighna Park, presents a city with wide roads, no traffic, plush and new. It’s forgotten past, of industrial lands, worker households, chawls, markets and festivals, has no space for representation in this new future. While the city witnesses great pressure and need for redevelopment, enforced through ideas of safety, security, hygiene and a better quality of life, the future it presents seems distant and biased. 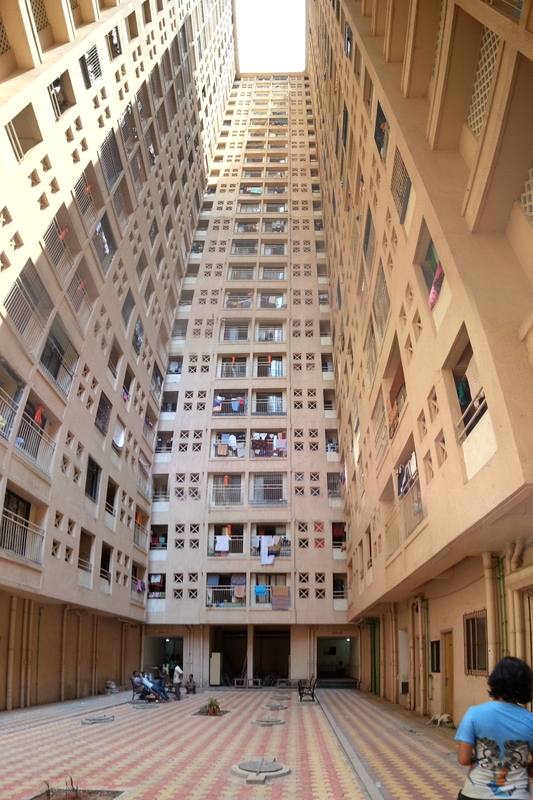 In the process of redevelopment, tenants of the chawl will be moved to the rehabilitation component called Vighnaharta Cooperative housing Society (see below), which is a new redeveloped building built to re-house all those who previously lived in these buildings. 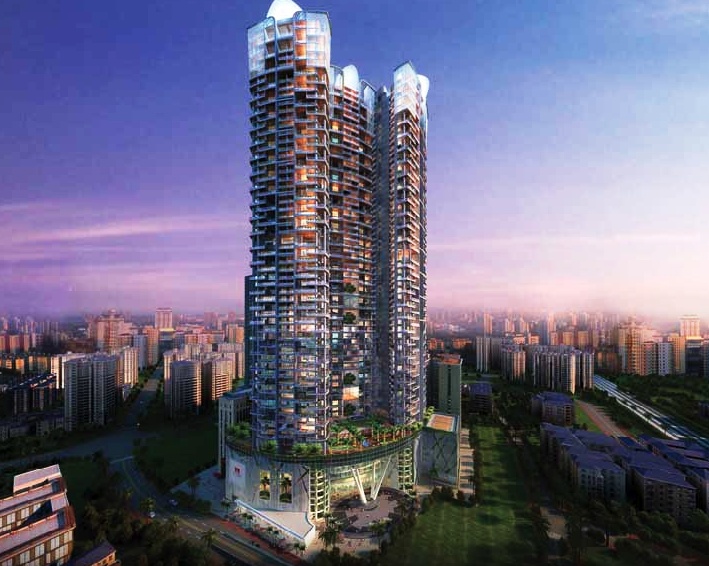 While the sale component of the building, One Avighna Park (above) will house a luxury class of people in large duplex flats, with terraces and decks open to the vast skyline of city in transition. The Mill lands of Central Mumbai were essentially located around the railway stations, often within 500 to 1000 meters of the transit area. People working and living in the area could walk through internal streets that were traditional pathways through these mill areas to approach these railway stations. Privatization of the mill lands due to redevelopment has sold large parcels of land to private investors increasing not only block-sizes in the area, but also walking distances. 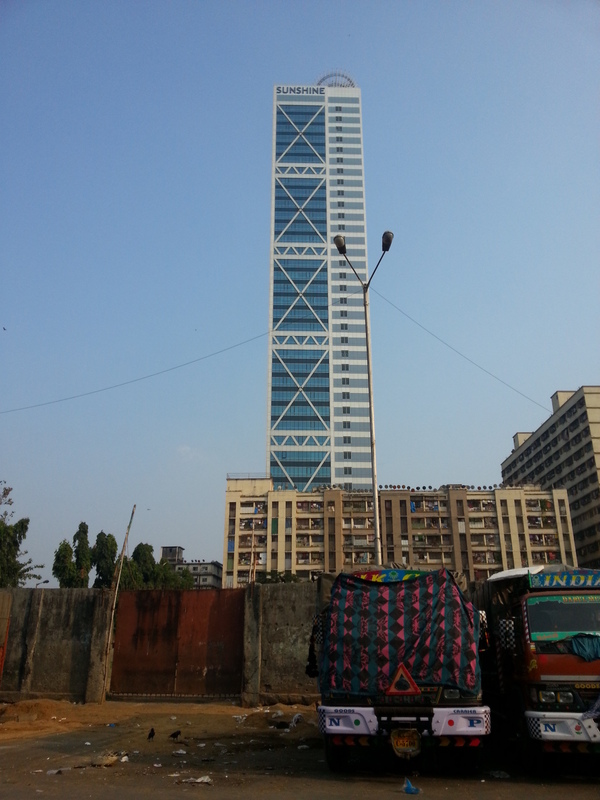 The Sunshine Tower (above) is an office building around Elphinstone Road railway station with a cluster of redeveloped chawls in front of it. Tall compound walls and gates restrict access to the redeveloped buildings and the station area from the main road, and the street becomes a space for trucks and private bus parking, unsafe and susceptible to all kinds of crime. One India Bulls Complex, (above) again around Elphinstone Road railway station gives access to the station area through its property set back space as one of the traditional routes to the station went through the mill property. 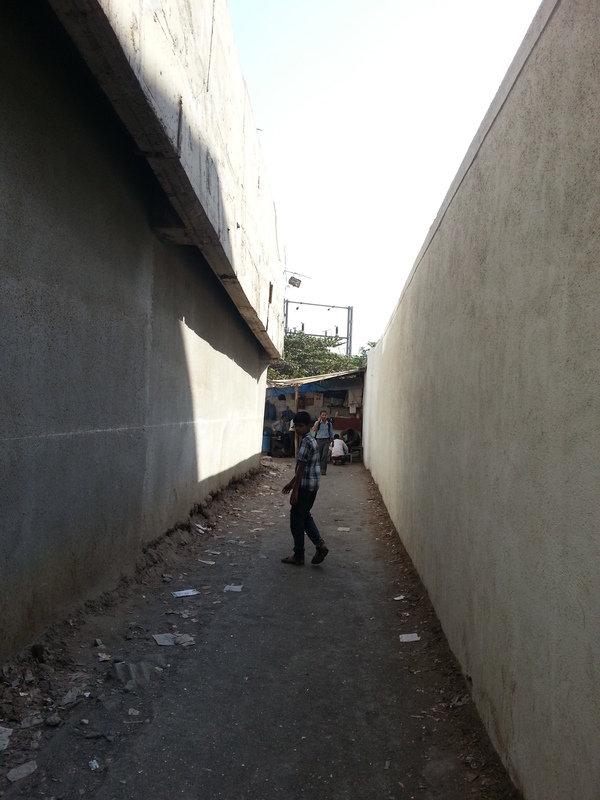 Tall boundary walls and parking lots flanking both sides of the access route create a narrow 3 meter wide alley way that leads to one of the more busy stations in central Mumbai. Station areas in Mumbai are known to be some of the most active, lively and crowded spaces in the city. They are considered safe to walk around no matter what time it is. However, redevelopment of some of mill lands around railway stations are transforming not only building and living typologies, but also city life and the feeling of safety in Mumbai. 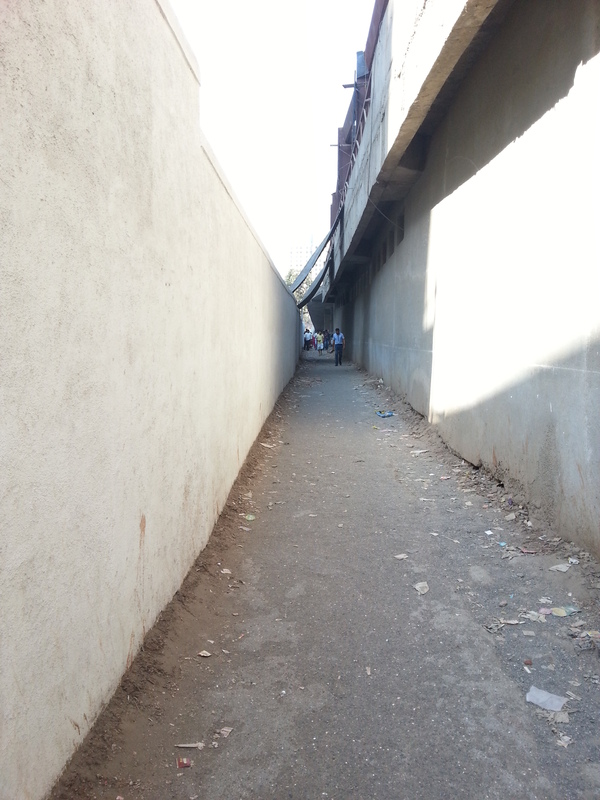 People travelling to and from the station in the wee hours of the morning or late at night would be walking through extremely unsafe, dead and inactive alleyways, contrary to most other station areas in the rest of the city. As the city rises to reach for the sky, questions of safety, security and tradition haunt its future. Redevelopment promises a city free of crime, fresh and new, but ways in which buildings meet the ground impose unreal challenges for its streets. Are we just replacing derelict mill areas, locked with vast areas of rubble with tall walls and dark alleyways where crime will still persist, perhaps in more blatant ways than before?